I would like to check if you have heard about Tami Water system - Strauss Water.? Searching through your blog, I could find topics on UV treated water. Would like to hear your professional opinion about UV sterilize water treatment, is it necessary in Singapore ? prolong exposure to UV treated water is it safe? The BB system you mentioned looks a bit bulky for most kitchen top though I really like stainless steel products. Looking for a convenient and safe water filtration system. Sorry I don't know how to pose questions via your blog. Personally, I do not see the need for a water filter for Singapore tap water. The water is already quite clean so any filter will be hard pressed to clean it further. (See this post and others in the filter/purifier tag.) Unless you suspect your pipelines and/or water tank are somehow contaminated. Still, it will be easier to call your residential management to take care of it. Or unless you have a medical condition that requires very clean water to be consistently provided. A small note on water parlance: "sterilisation" means the destruction of all microbes while "disinfection" means the significant reduction of microbes. Water is normally "disinfected" to make it safe for drinking. 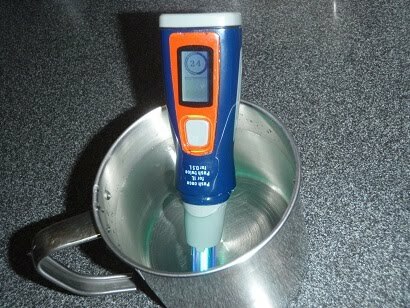 It is not practical and necessary to sterilise water for drinking. 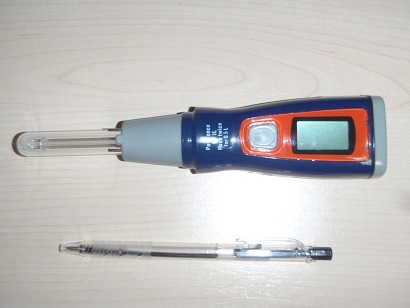 Sterilisation is usually done in medical applications (e.g. sterilising surgical tools), microbiological setting (e.g. incubation for bacterial count) or pharmaceutical manufacturing. As for UV (ultraviolet) treatment of water for drinking, you probably have already guessed my opinion that it is similarly not necessary for Singapore tap water. UV disinfects by disrupting the DNA in microbes (aka bugs). If the DNA is sufficiently damaged (enough contact time or UV power or both), the microbe cannot repair that damage and its bodily functions will be affected, leading to a halt in reproduction or death. In case anyone thinks I am against UV, let me proclaim that I am a fan of UV treatment in the situations that it is necessary. Its main advantage is it is a relatively simple system to operate. You just need to plug into a power supply and you are good to go. No messy chemicals to resupply, no need to calculate dosage of chemicals and no chemical waste to fuss over its disposal. UV can work under any temperature and pH. These are two master parameters which will invariably affect any water treatment involving chemical reactions. You do not need to worry over the undesirable generation of disinfection by-products (DBPs) including potentially carcinogenic chloroform in the case of chlorination. Even though UV treatment has been worded as "UV radiation" or "UV irradiation", there is absolutely no ionising radiation (e.g. X-rays) involved so no way will your water become radioactive. UV is generally safe for water disinfection. Remember the bugs you killed or injured by UV earlier. Though they can no longer reproduce, their dead and dying cells are still in the water. There is some concern these cells can be pyrogenic (fever causing) or become food for other bacteria further downstream. Nevertheless, unless your dead/dying cell count is very high, I believe this should not be an issue. One big challenge of using UV is your inflowing water has to be very clear (turbidity of less than 1 NTU for the techies out there). If your water contains solids e.g. clay, sediment, the bugs will hide behind these solids and receive shielding from the full power of your UV light. Yes, you do not have to resupply chemicals in UV treatment BUT you have to replace the UV lamp periodically as it will lose its power over time. Finally, the lamp may be fouled over usage. Grime, dirt, debris can stick to the lamp and these stuff prevents your UV light from shining out effectively. Cleaning then becomes an important part of maintenance. Industrial UV setups usually have their lamps protected by removable sleeves. Even then, the sleeves themselves can be fouled and thus have to be cleaned as well. Tami Water, Strauss Water... No, I haven't heard of them but I made a quick search and took a look at their webpages. They seemed like an aesthetically packaged water filter (carbon blocks + UV) that can provide both hot and cold water. As I said earlier, you don't really need water filters in Singapore. Unless you are interested in their hot/cold water combo function. But looking at the price (S$1200 for the Tami Primo model), I don't think that is the most efficient use of your money. Figure: My trusty Steripen portable UV water treatment unit. Note the UV lamp on the left end. Figure: Disinfection in action. Notice the bluish light at the lamp. It is supposedly safe for the eyes as the UV cannot escape from the water surface. It takes 1 minute to disinfect 0.5L of clear water. If your source water is murky, it pays to at least sieve your water through a clean piece of cloth or coffee filter before going to UV.